So, you have decided to become a Yoga teacher? You might have many thoughts that keep you wondering if it’s worth signing up for a Yoga Teacher Training – Can I do it with lack of experience? How much time do I spend on it? Will I be able to teach? These are all valid questions which can influence your thoughts to become a Yoga Teacher. Remove all these doubts from your mind because the things that help you in achieving your success are Your willingness to learn, dedication, discipline and most importantly your purpose. 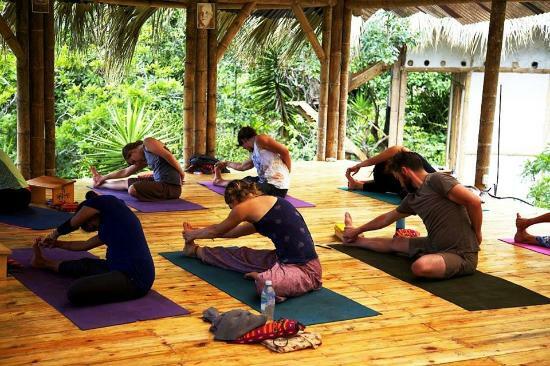 Dharamsala Yoga teacher training school, India will provide you conducive and learning atmosphere for your Yoga training in peaceful and safe location with all the necessary facilities available. Before signing up for a Yoga Teacher training program, Ideally you should have some sort of experience in Yoga. This does not mean that you have to be an expert, but you should be comfortable with the basic Asanas. Our Yoga Training teachers not only teach Yoga but lead by examples of their learning under the gurus in different ashramas and their experience. You must be willing and ready to devote the time, energy and efforts needed to learn the poses, pranayamsa, meditation and related philosophy and the anatomy. Joining a Yoga Teacher Training at Dharamshala Yoga Teacher Training School will definitely take your practice level a notch up. Kaivalya Yoga will ensure a cohesive understanding of the techniques and practical application of the learning in daily life. So that you can easily integrate this meaningful knowledge into your modern-day living. Our Yoga Training Teachers are fully equipped with knowledge and experience to impart high quality knowledge and standard training to aspiring Yoga students from all over the world. The main goal of our Residential Yoga Teacher Training School in Dharamshala is that every individual should develop proper harmony of their body mind and emotions through the practise of asanas, Dhyana and pranayamas. Why should you step as Yoga Training Teacher? The Journey as Yoga Teacher Training is not just about becoming a Yoga instructor, it is a lifetime experience. The study of Yoga will help you to learn different ways to tackle and deal with stress. Multicultural learning will help the learning experience better. From students to homemakers, individuals and working professionals are now predisposed to learn and achieve more from Yoga. By learning Yoga, you will know about your body and how it works. Yoga Teacher Training is mainly useful for people who are from health and fitness industry. You will be learning about the important things like the right type of food your body, when to eat for a better and healthy living etc. You will learn how to live and maintain a balanced state of mind in everyday living. We are here to make you a perfect human with all the above qualities if you step at Kaivalya yoga school Residential Yoga Teacher Training school in Dharamsala. Yoga is an exercise that originated in Ancient India and is practised widely today. Yoga practise can improve your flexibility, muscles strength, blood flow, posture, Physical fitness, relaxation techniques and reduce stress level.It is good to lead a healthy life and stay active. The purpose of Yoga Training Teacher School in Dharamsala is to build strength, awareness and harmony in both the mind and body. There are more than 100 different types of Yoga sessions which typically include breathing exercises, meditation, postures, philosophy and anatomy etc. Apart from Physical benefits, one of the best benefits of Yoga is that it helps a person to manage stress which effects body and mind.